Australian Healthcare Week is the largest healthcare event in the region, growing 56% year on year. In 2019 the event will be back bigger and better than ever with a target of 6000+ visitors and 8 specialised health facilities, technology and workforce management stages; more than ever before. 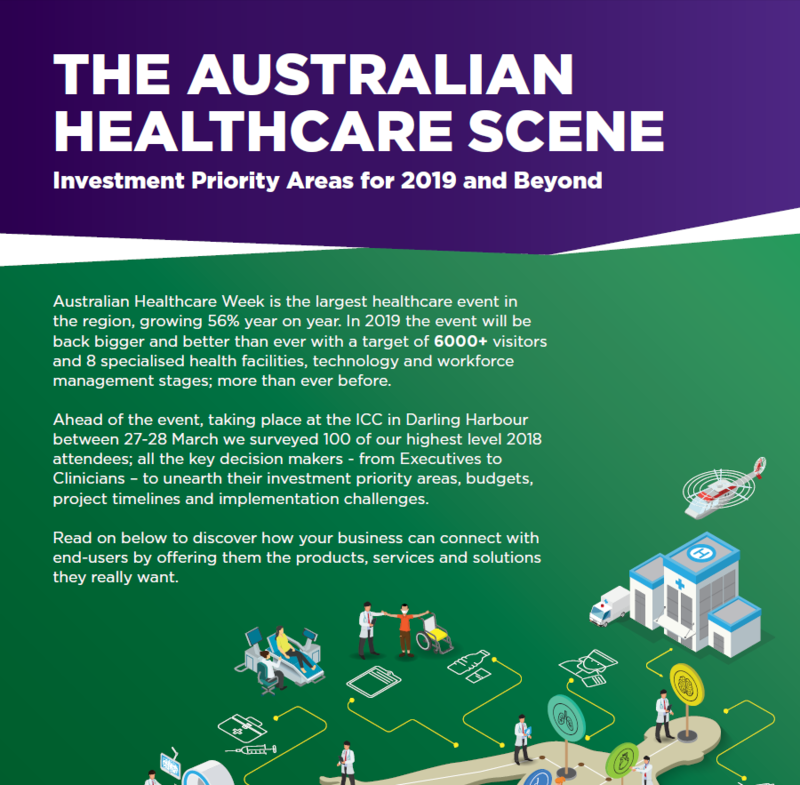 Ahead of the event, taking place at the ICC in Darling Harbour between 27-28 March we surveyed 100 of our highest level 2018 attendees; all the key decision makers - from Executives to Clinicians – to unearth their investment priority areas, budgets, project timelines and implementation challenges. Read on below to discover how your business can connect with end-users by offering them the products, services and solutions they really want.